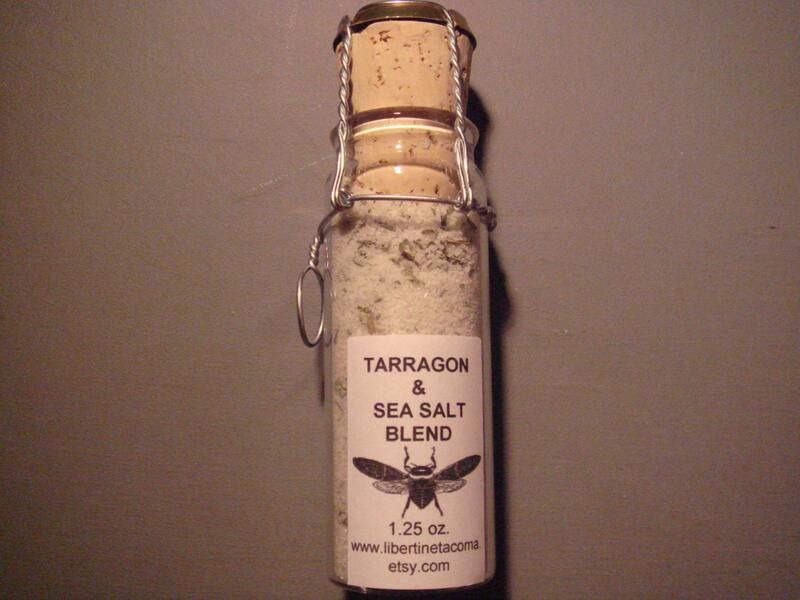 This blend is a simple mix of delectable French Tarragon and Sel de Guerande French Grey Sea Salt. It makes a perfectly balanced finishing and cooking salt for chicken, fish and eggs. Tarragon is a traditional French herb that has a distinct aroma and flavor that compliments many culinary creations. Be bold and creative and try sprinkling it on chicken for a BBQ chicken pizza.